God’s kingdom isn’t your ordinary kingdom and Jesus isn’t your ordinary King. 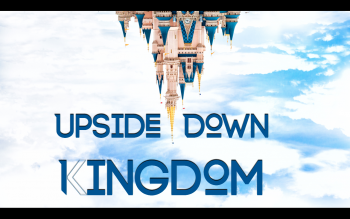 As we study through the historical writings of Luke we find the story of a king whose kingdom shakes things up and turns everything upside down. In the kingdom of God; the first will be last and the last will be first, the lowly are lifted up and the powerful are put down, the strong are made weak and the weak are made strong, those who are outsiders are in and those with power and privilege are out. We will study through the life of Jesus, his teachings and the beginning of the church to see how this kingdom still has the power today to thankfully turn our lives upside down. Join us this Sunday to learn more, 11 a.m. 4862 Broadway (2nd floor auditorium).